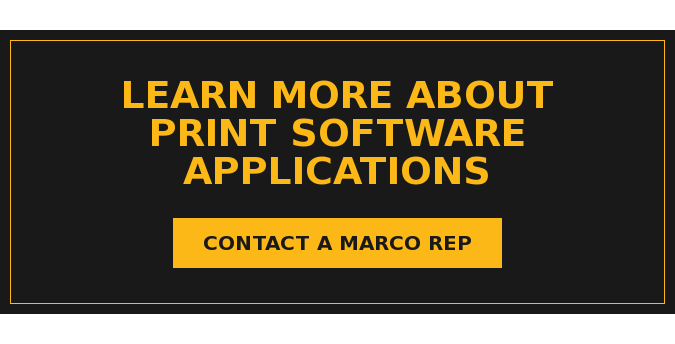 Software Applications: Make your copiers and printers work smarter and harder. You've got documents. (Lots of documents!) We can help them flow more smoothly in and out of your system with software applications that make your copiers and printers work double duty—and save money in the process. Because the harder your copiers and printers work, the easier it is for you to enter, send, retrieve and manage your business files. You need that one document for your next meeting. The one document you can't find on the network. The one you printed out ... and scribbled notes on ... and now only exists as a hard copy on your desk. You need it electronically. Right now. Wouldn't it be nice if you could take a hard copy of any text document and, by simply scanning the original, convert it to a Microsoft Word or Excel editable file—with over 95% accuracy? Our software applications can do that. And much more. They also integrate seamlessly with your document management system. By connecting with systems like M-Files, you can scan and send documents directly into your database. So there's no need to rekey information. And because documents reside in one central and convenient location, they're easy to access from any computer or device. Our document distribution applications also integrate directly with your email servers. While many printers allow you to scan and email documents right from your printer, our software applications retrieve scanned documents directly from your email account. This gives you an added sense of security knowing your communications are safe and your documents are protected by the safeguards setup on your inbox. Controlling printing costs used to be like the Wild West. You just had to hope that your employees were conscientious and only printed what they needed and hopefully not in color! Today, we have software to monitor that for you. Just define a few settings upfront and let your software take care of the rest. You can set copy/print limits on each machine. Or assign each user with his or her personal limits. Or set emails to be printed in black and white or duplexed based on the application. You can actually block emails from being printed at all! We have software that will register Outlook as a "banned" program and prohibit a user from printing jobs from their email program. Sometimes overprinting simply becomes a habit. Educating users on how much their print jobs cost can be a big eye opener. We have software that, when certain criteria are met, will prompt the user before they're able to print, telling them how much this particular job will cost and offer several alternatives on how to save money. This prompt is based on your criteria. For example, it could be any print job more than three pages – or anything in color. Large institutions have a greater need to monitor and control printing costs. If you have several departments all sharing the same printer, we have software that allows you to monitor usage per department. From there, you can choose to rein in your printer fleet ... or perhaps add new, more efficient printers where there is higher volume. You can also track print volume down to individual users or computers. If you have one or two individuals who print more than necessary–you can monitor their activity, and then take action accordingly.